Pianist Amy Dorfman has enjoyed a wide variety of musical collaborations throughout her career. For more than 20 years, she accompanied American bass virtuoso Edgar Meyer, performing in Lincoln Center’s Alice Tully Hall and Amsterdam’s Concertgebouw, as well as on NPR’s St. Paul Sunday Morning and The Lonesome Pine Special. She also joined Meyer in his 1990 recording Work in Progress for MCA Records. Dorfman has performed with the Blair String Quartet and was a member of the Dorfman/Katahn piano duo with pianist Enid Katahn. She has also collaborated with pianist Mark Wait, Dean of the Blair School of Music, in piano duet and duo recitals. In 2002, she and colleagues Carolyn Huebl, violin, and Felix Wang, cello, formed the Blakemore Trio. The trio performed their New York debut in Merkin Hall in 2010. In 2013 the trio released two recordings, The Blakemore Trio plays Beethoven and Ravel (Blue Griffin Records), and Gates of Silence, composed by Susan Botti and commissioned for the Blakemore Trio (Albany Records). Critics wrote, “another chamber ensemble has arrived to claim the limelight...for Beethoven’s ‘Ghost’ Trio, they don’t come any better than this one.” The American Record Guide hailed their performance of the Ravel trio as “Impressionism at its best.” The trio is currently at work on a recording of solo and chamber works of American composer Adam Schoenberg, which is slated for a 2019 release on Blue Griffin Records. Dorfman's students have been prize winners in national divisions of MTNA chamber music competitions, the Vanderbilt Concerto Competition and the Curb/Nashville Symphony concerto competition. Her college students have continued on in many prestigious graduate music programs around the country. She served as coordinator of the Blair precollege chamber music program from 2006-18. 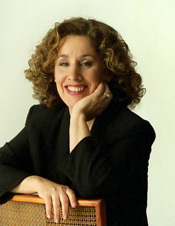 Dorfman received her undergraduate and graduate degrees from the Indiana University School of Music, where she studied with Alfonso Montecino and James Tocco. She also worked with Edith Oppens and Rosalyn Tureck at the Aspen and Banff festivals. She serves as artist/teacher at the Tennessee Governor’s School for the Arts and spent several summers at the Sewanee Music Center.